It's PLL dAy! #WeLoveYouToDeAth Happy haunting! As a part of 13 Nights for Halloween, ABC Family presented a Pretty Little Liars special called “We Love You To Death.” Here’s what we learned about the shows stars and the future of PLL. “Dead girls can’t smile. Stop looking” and “What will you do when the rest of me comes out of the grave?” are the PLLs favorite messages from A. The train was actually moving during the filming of the Halloween special. Lucy Hale compared Ezra and Aria to Romeo and Juliet, and it gave me hope they would finally kill Ezra. “They like to fed each other, which is kind of gross.” I never thought I would agree with Spencer, but she’s spot on about Aria and Ezra. “One great moment between Emily and Paige was definitely when she tried to drown me. That was great, super romantic.” I didn’t know Shay was so funny, but I love her. It’s hard to get through scenes with all 4 girls because they all mess around too much. There is an “A” in every set. 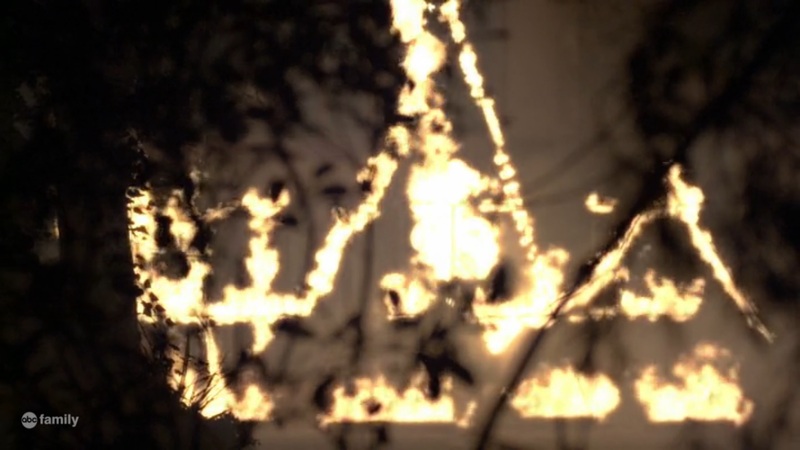 The fire in season 3 burned the house down in the shape of an A. I never noticed this, but the examples they showed were sort of mind-blowing. The writers love using the theme of the PLLs being like Ali’s dolls, and the sequence of scary dolls is going to haunt me forever. This is why I didn’t have dolls who spoke or who’s eyes moved as a child. “The A moments are probably the funniest. I do not look at Ashley Benson no matter what.” Shay laughing about trying to say “A” seriously. 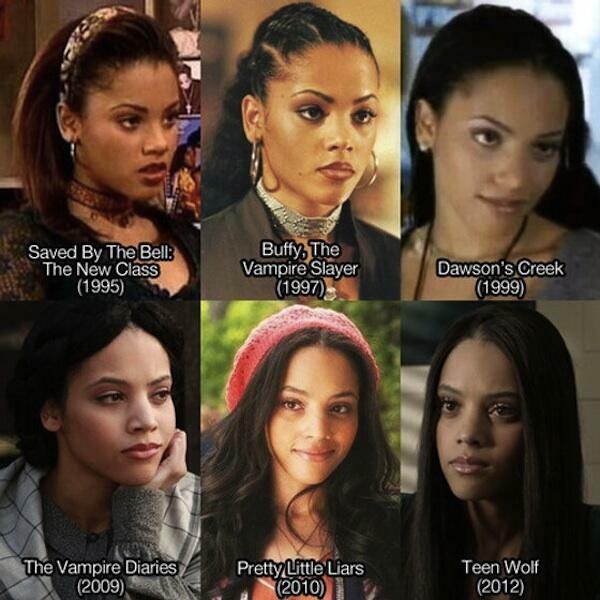 Teens would come up to Bianca Lawson (Maya) on the street crying after her death… If I saw her I would ask about playing Kendra on Buffy and how she has managed to play a teenager for 20 years. #AgeReducingCream? The PLLs discussed pie vs cake and settled on cake. Christmas episode sneak peak: there will be an ice ball, Santa boxers, shocking revelations and of course, more mysteries. The special airs Tuesday, December 9th. Ashley and Troian claim they know who A is, but the other liars don’t. 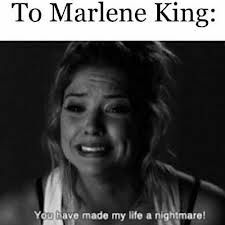 Marlene King (creator) promises we will find out who “the big A” is before season 7 starts. The writers also claim to have the endgame figured out. Bonus: Shay and Ian provide the perfect ending.